Historical profiles are often considered factual, more than flowery. However, one profile from history in India that is both symbolically and factually poetic is that of Sarojini Naidu, nee Chattopadhyay. Most famous as the Nightingale of India, not many are even aware of her being a Bengali, who was married to a South Indian. Surprisingly such a personal detail finds mention at the opening of this piece not because of a loop. It finds mention because, in being married inter communally, back then, Sarojini Naidu comes across as an icon that signifies modern outlook and emancipation way back at a time when these terms had no significance. Marrying into another community and also being in a relationship at an early point of life, that culminated into marriage are things which seem straight out of a fairytale, given the times back then! No wonder Google launched a Doodle for this Nightingale five years back to celebrate her birth anniversary. Remembering and paying tribute to her birth date is the least modern day mortals can do! Part of an educated and versatile Bengali family from Hyderabad, Sarojini Naidu was always a prodigy. Born in 1879 on 13th of February, Sarojini Naidu, Govindarajulu Naidu and ultimately settled down in Hyderabad. Of course, she had been blessed with great genes since her mother Barada Sundari Devi, was a poetess in the Bengali language while her father Aghronath Chattopadhyay, had a medical background. Besides the genes though, a thoroughly depthy upbringing contributed to her becoming confident and so aware for a woman of that age. Naidu exhibited not just a privileged upbringing but a fiery zeal along with a spirited dedication across all the activities or decisions that had been a part of her life. Naidu had a chequered career in that she had an upscale education at King’s College and then Horton College in the UK, and was a famous poetess who later on foraged into active Indian politics. Poetry and politics often seem to be at loggerheads to this date. Thus, such a unique combination, eons back seems nothing, and interesting to the core. Her works inspire even today, and seem to hark back to the likes of W.B. Yeats. It is evident when one studies her poetry that Naidu had more than just liking for Edmund Fosse, W.B. Yeats and Arthur Symons. After she completed her matriculation from University of Madras she took a four-year study break before she gradually moved on to study in England, based on scholarship from the Nizam of Hyderabad Charitable Trust. The scholarship was a gift since the Nawab was impressed with her poetry. The fact that she was a child prodigy is evident in the fact that her writings date back to the time when she was only 12 years old. It is said that it was her Persian play, Maher Muneer that highly impressed the Hyderabadi Nawab. Naidu became an interesting figure in history when she started taking part in the national freedom movement of India, gradually becoming close to Mahatma Gandhi, and even fought for the country to attain Swaraj. Gopal Krishna Gokhale is said to have introduced Naidu to politics. Such was the flare of the lady that she had once called Mahatma Gandhi, Mickey Mouse. Even though it seems mismatched, yet such political and patriotic aspirations was common to Sarojini Naidu’s paternal side since her brothers were involved in Revolution as well as the arts. 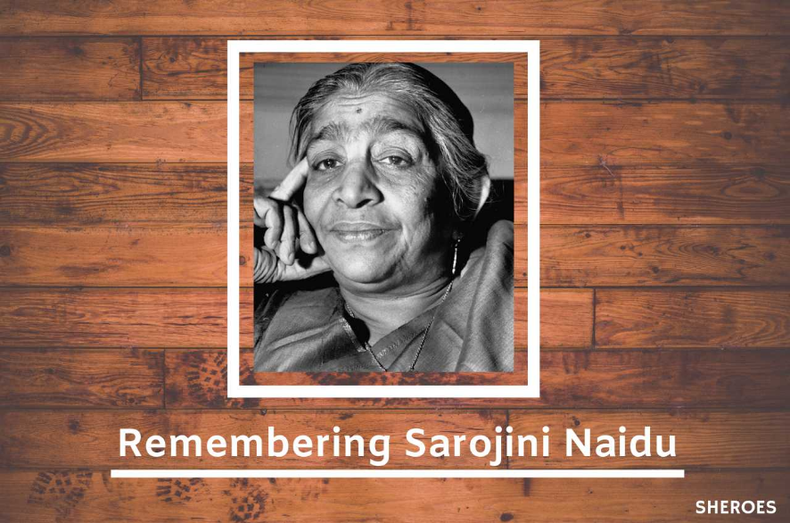 Sarojini Naidu came into the limelight after she got active in the Partition of West Bengal that happened in 1905, and since then she became part of the Indian National movements happening around the country. Naidu was in contact with leading figures of that time including Muhammad Ali Jinnah, Annie Besant, Mahatma Gandhi, Jawaharlal Nehru and Rabindranath Tagore. By 1900, Sarojini Naidu was a figure the travelled to regional hubs of India to give lectures based on empowerment of women, nationalism as well as the welfare of the society. In 1917, she helped to lay the foundation of the Women's Indian Association. The case for women's franchise was presented to the Joint Select Committee by Sarojini Naidu along with Annie Besant. By April 1947, just before Indian Independence, Sarojini Naidu was a much-honoured figure present at the Asian Relations Conference that took place in Delhi. Over the years, Naidu presided over a lot of important sessions and meetings including those of the Indian National Congress as well as East African Indian Congress that happened in South Africa in the mid-1900s. Naidu was awarded the Kesar-i-Hind Medal by the British Government because of immense social work during the epidemic of plague in India. Besides being such a benevolent soul, she also took part in important conferences such as the Second Round Table Conference along with Mahatma Gandhi and Madan Mohan Malviya in 1931. Naidu always features on the pages of history throughout the Indian National struggle for freedom. She was imprisoned thrice but she thought this helped to bring upliftment among the weaker sections of the society. Even the Quit India Movement in 1942 saw her playing an active role along with Mahatma Gandhi and during this time again she was sent to Jail but the bird could not oppress hungry spirits. It was only natural that her death was sudden and did not leave her restless for any period of time. Sarojini Naidu passed away from cardiac arrest on the 2nd of March 1949 while on active duty at Government house in Lucknow. Before her cardiac arrest she went through a bit of health deterioration and some bloodletting, a medical procedure, needed performing just the day before. It is said that she asked the attendant nurse to sing right after the medical services were rendered. 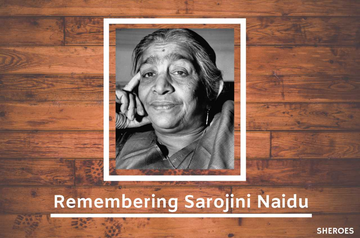 Of course, Sarojini Naidu’s legacy lives on in the fact that she is such a popular name that every generation after her, remembers. Additionally, she has a number of Institutions all over India in her name that caters to medical service, education and social welfare. We agree, heads bowed in reverence on her birth anniversary.